Full day tour, only the panoramic itinerary and the visit of Alba and Barolo are easily accessible for motor disabilities. The wine and truffle land; the Marquisate of Saluzzo. Don’t miss a trip into the countryside to give in to the many temptations of good food and delicious red wines. 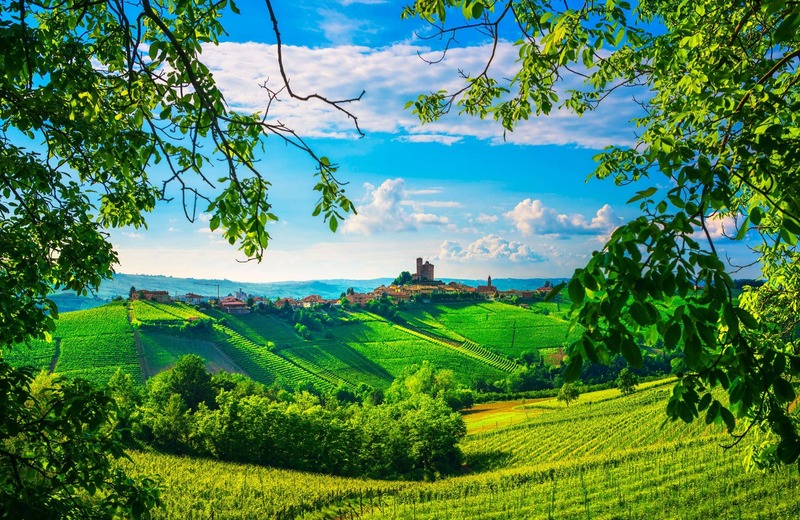 Langhe is a small strip of land extending to the south of Piedmont where the concept and activity of “Slow Food” were born: the hills follow each other in gentle slopes and are cultivated with vineyards. Its cultural pole is the medieval town of Alba, but also the hamlets of Barolo, La Morra, Grinzane are worth a visit. The white truffle of Alba is the king among the local products of excellence: why don’t you get to know its secrets by joining a truffle hunt? A glass of Barolo or Barbaresco wine could crown your easy going day in the land of great wine and food culture. Half an hour drive from Langhe, Saluzzo is the ideal place to enjoy the beauty of an ancient unspoiled historical centre, once home to the powerful marquisate. In the surrounding area the castles of Manta and Lagnasco or the Staffarda Abbey still retain wonderful art treasures and the traces of feudal splendors.